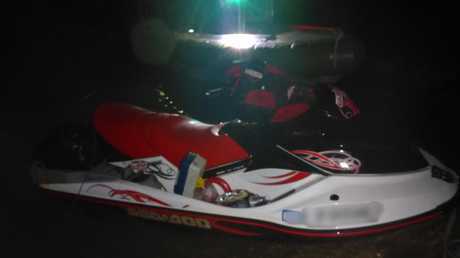 A joint operation between the Australian Border Force (ABF), Australian Federal Police (AFP) and Queensland Police Service (QPS) has resulted in the arrest of a fugitive allegedly attempting to flee Australia on a jet ski. A WANTED man has been busted in the Torres Strait allegedly trying to flee the country on a jet ski. The man is believed to be a 57-year-old UK national who was wanted over drug related matters in Western Australia. It is alleged he was armed with a crossbow and carrying additional fuel and supplies when he was picked up by authorities on mudflats at Saibai Island on Monday. 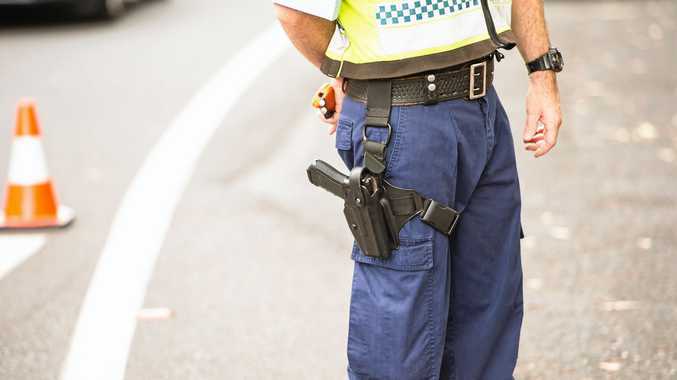 His arrest came about following a joint operation by Australian Border Force (ABF), Australian Federal Police (AFP) and Queensland Police Service (QPS). Border Force received information from Bamaga police about a man launching the jet ski at Pundsand Bay on Cape York. Officers from the three organisation were deployed to the northern Torres Strait Islands. 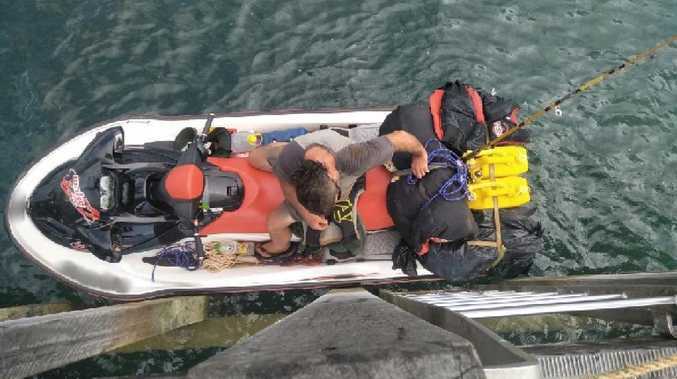 An ABF spokesman said their monitoring officers, Torres Strait councillors and community members identified the man's travel path and his intention to purchase fuel to facilitate his travel to PNG. "Following further co-ordination through the Australian Border Operations Centre (ABOC) in Canberra, Maritime Border Command deployed Australian Border Force Cutter Roebuck Bay to respond," he said. "One of the vessel's tenders was deployed and the embarked QPS officer detained the individual." He was taken on board ABFC Roebuck Bay and was transported to Thursday Island where he was held by police pending extradition to WA. The jet ski was towed to Saibai Island. ABF Commander Northern Command, Jo Crooks, said the result highlighted the effectiveness of the collaborative joint agency approach in the Torres Strait. "This is a perfect example of local intelligence sharing, community support, ABOC co-ordination and our maritime capability, all working together to enable a quick and effective multi-agency response to a situation," she said. Through our posture in the Torres Strait and working closely with our AFP and QPS partners, we have the ability to detect a range of border threats, including suspicious movements through the region. Anyone who thinks they can either enter or leave Australia through the region without detection should think again. "The ABF would like to recognise the efforts of ABF Border Monitoring officers on Moa, Dauan and Saibai, as well as community, council members and councillors on Saibai, Dauan, Sigabadaru and Mabaduan." An AFP spokesman said the location and arrest of the man was a testament to the AFP's strong intelligence and policing partnerships. "This arrest sends a strong message to would-be fugitives - our reach across Australia is second to none and we will use all our contacts and relationships to find you and bring you before a court," he said.